I’ve talked before about how we should sleep on it when we’re getting stuck with our creative projects, to come up with new ideas for them – a form of incubation theory. While some of us are better than others at working under pressure, even then it’s useful to have a good night’s rest to come up with more ideas. In terms of keeping your creative mind working sharp as a tack, it’s become pretty much accepted through different research studies that doing puzzles for as little as 15 minutes a day has been shown to help delay dementia or even lower the risk for Alzheimer’s disease. Finally, we can be more creative when we are happy rather than unhappy. 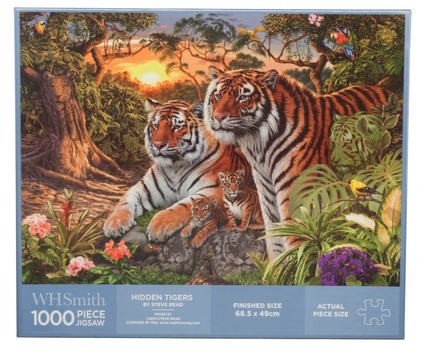 So if doing jigsaw puzzles makes you happy, go do one! Your work will reward you for it. So apparently, January 29 is International Puzzle Day. Sorry I didn’t know before or I would have posted this sooner so you could all be out there on your living room floors knocking together amazing puzzles. March is the first of only three months in our calendar that has a double life. You might not notice it straight away but it’s out there, doing stuff. (Because it’s a verb.) The other two are May (verbal auxiliary) and August (adjective). This post was written by TJ Withers-Ryan, © 2015. Reblogging is always highly encouraged, as long as you cite me as the author.